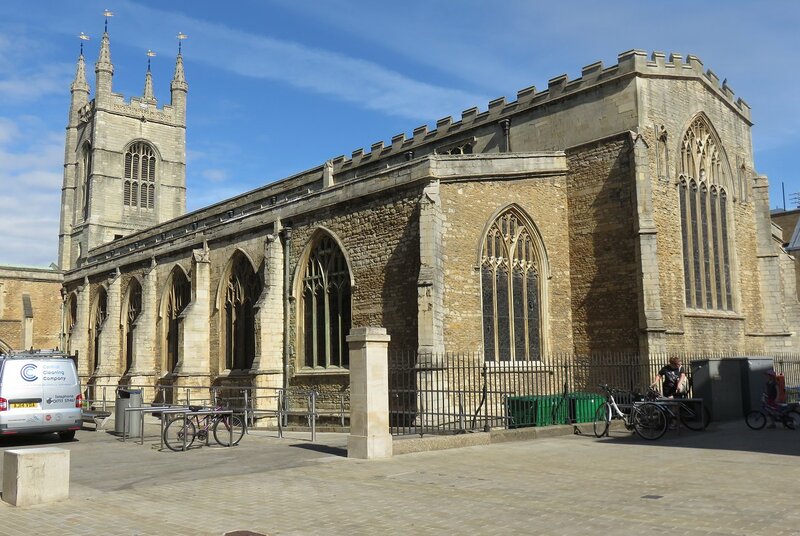 Although the 2018 IAO Music Festival spent a whole day in Cambridge, it was based in Peterborough. 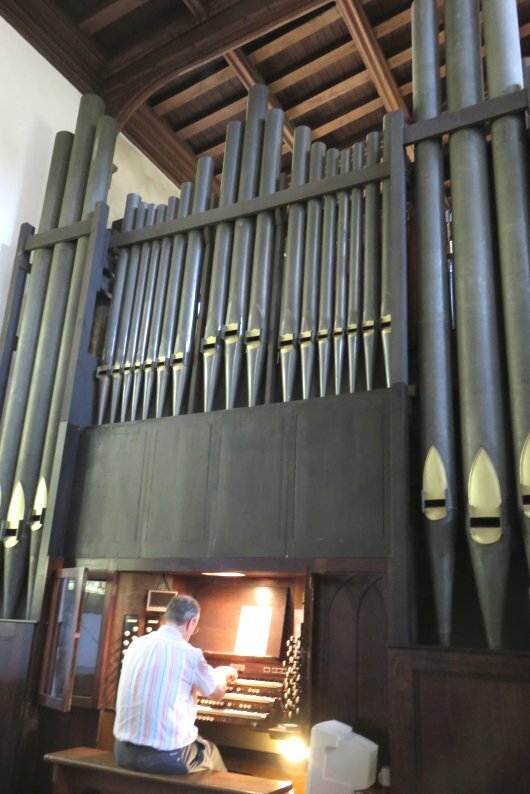 In addition to having use of the cathedral for several events, most of the second day and the morning of the third day of the Festival was spent at the parish church of St John the Baptist, which houses a substantial three-manual instrument that can trace its origins back to the work of Forster & Andrews. The 1871 instrument was of only two manuals with 24 stops. The Harrison rebuild in 1917 was essentially a new instrument but re-used pipes from up to a dozen of the original ranks. In 1980 Cousans of Lincoln electrified the action (the Choir division's tubular pneumatic had become very slow to speak) and added thumb and foot pistons. Recent work by Alan Goulding involved minor changes and extra playing aids. 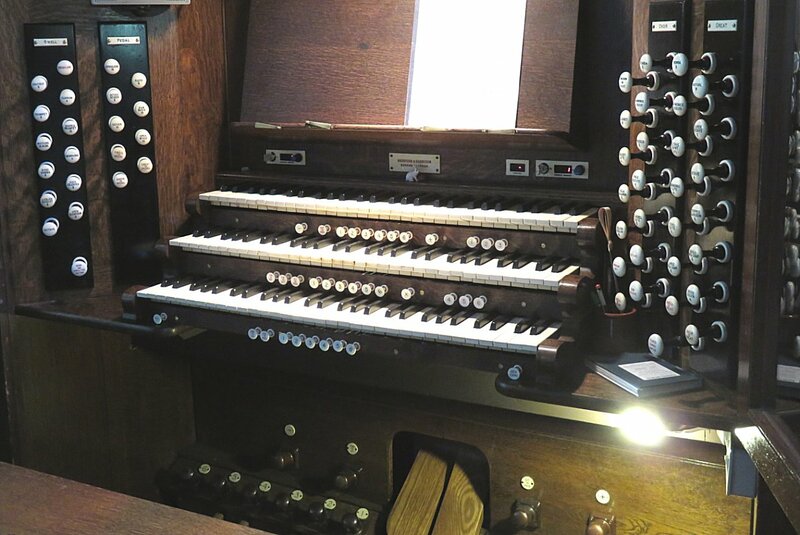 You can hear an archive (1979) recording of the organ in Peterborough Cathedral as April 2019's Music of the Month.